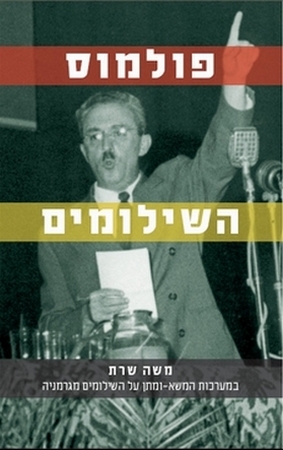 Moshe Sharett and the German Reparations Controversy brings together the full protocols of all debates held in the Knesset, in its Foreign Affairs and Security Committee, in the Government and in the high councils of the ruling party Mapai, regarding conducting negotiations with the West German Government over reparations. This is the first book documenting confidential protocols from meetings of the Government and the Knesset Foreign Affairs and Security Committee, lately opened to the public. It will serve as a basic textbook for learning a critical issue in the country's history. Research and publishing of the book were aided by the Claims Conference. The book was condensed and translated into English and was published in 2011 by the prestigious publishing house De Gruyter. For further details and information, see the English book.